Naruto 671 is the next exciting chapter in Naruto manga series. The previous chapter was essential in the story. It revealed important information and showed us what really happened, even before the fight between Madara and Hashirama started. Naruto met Hagoromo, the creator of Ninshuu, the person who defeated and split the Juubi and the person who brought peach to the world. Most importantly, he is Naruto’s ancestor. I’m pretty sure lots of Naruto fans are already pouring in their new thoughts, ideas, and predictions in line with the new revelation. Will Naruto accept his fate and what Hagoromo is about to entrust to him? Let’s find out in Naruto chapter 671. UPDATE: Naruto chapter 671 was recently released. Well I guess I was wrong about Madara being the reincarnation of Indra. But at one point, he was Indra’s reincarnation. And now it was passed down to Sasuke, just like Hashirama to Naruto. 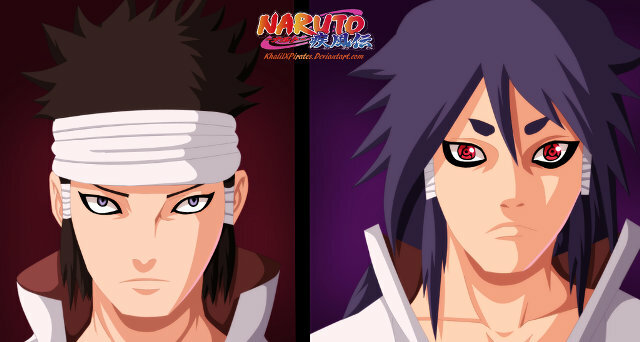 Sasuke is the current reincarnation of Indra, and Naruto and Sasuke are bound to face and fight each other. The end of this long war rest upon the decision of Naruto and Sasuke. Just to recap things, Hagoromo appeared before Naruto in his mind. He is not alive anymore, but his spirit lives on observing his descendants. According to Hagoromo, it all started with their mother, Kaguya Ootsuki, who stole and ate the fruit from the holy tree. The tree turned into the Juubi and was trying to desperately take back what has stolen from it. Ootsuki’s sons (Hagoromo and his brother) went to destroy the Juubi, and sealed the Juubi within them. Hagoromo had two sons, Indra and Ashura. 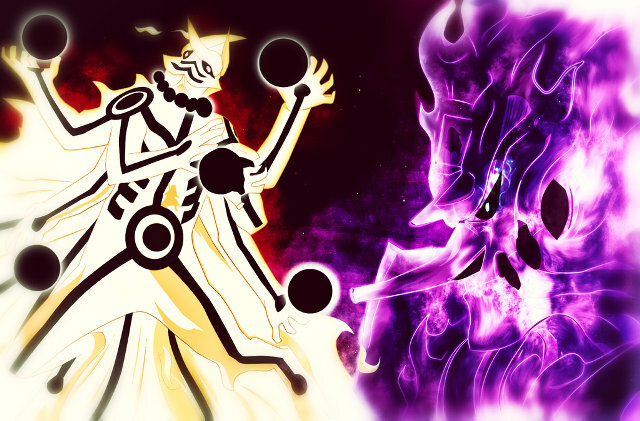 Indra was the powerful one, he was a genius in battle and he had Sharingan eyes. Meanwhile Ashura was not as powerful as Indra and in order for him to match Indra, he had to work hard to become stronger and needs the cooperation of the people. Hagoromo saw a new possibility in Ashura. He decided to split the Juubi and gave it names. He entrusted Ninshuu and the tailed beast to his son Ashura. But Indra was against it and that was the start of the great wars which raged on until today. Well clearly, it all started with a bitter and jealous son, who wanted all the power for himself alone. He was the older brother and I think he was thinking that he should be the successor of Ninshuu and the Juubi’s power. Like I said before, it’s not Gai’s destiny to defeat Madara, in fact it is only Naruto’s destiny to stop this long war, of course together with the people around him. Who is the reincarnation of Indra, Madara or Sasuke? Even though Naruto is the reincarnation of Ashura, I don’t think that Sasuke is the reincarnation of Indra. Madara fits the description of Indra better. 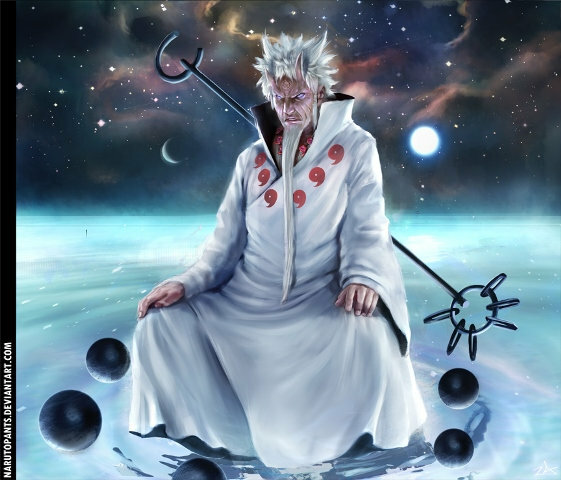 So I think that Madara is the reincarnation of Indra. Madara is powerful, he is uber powerful on his own, and he is a genius in battle just like Indra. Hashirama was probably a reincarnation of Ashura. And since Hashirama died, and Madara literally found a way to escape that, Indra’s chakra or his soul remained in Madara. Meanwhile Ashura’s chakra might have move on from Hashirama to Naruto. Naruto and Sasuke will end this Great War by defeating Madara. But what if Madara somehow passed on Indra’s chakra to Sasuke?! Well, that’s another story and possibility. According to Hagoromo, he is the creator of Ninshuu and not Ninjutsu. Ninshuu brings hope to the world and he has entrusted it with his son Ashura, although Hagoromo did taught both his sons the art of Ninshuu. Also, Hagoromo said that Ninjutsu is the opposite of what he created and he didn’t created Ninjutsu. If he didn’t created Ninjutsu (contrary to what many think that he is the creator of Ninjutsu even in the story before), then who is the father of Ninjutsu? Possible answers – Indra or the people themselves who found a way to alter Ninshuu and turn it into Ninjutsu, for war. 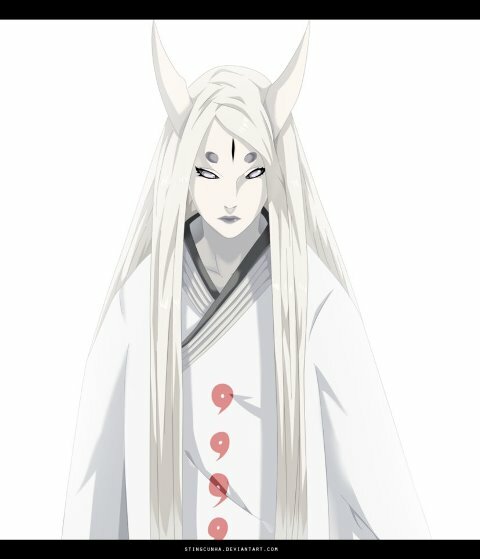 What is the role of Hagoromo’s unnamed brother in the story? According to Hagoromo, he and his brother fought the Juubi and they sealed it into their body. He didn’t say that they sealed it into Hagoromo’s body alone. That word was “us”. This means that some part of the Juubi was sealed in Hagoromo’s brother as well. This will open a new chapter or saga. The Juubi that we are seeing now is only half of the real Juubi they fought before. 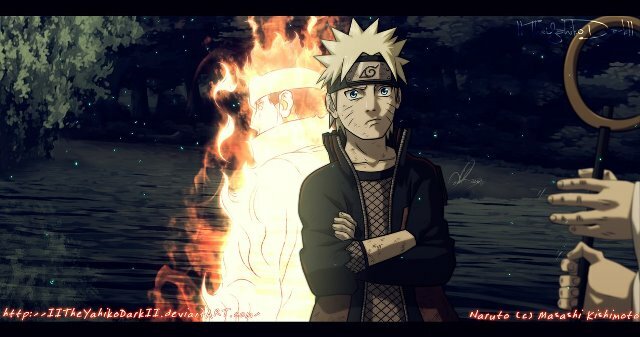 Just like Kurama was split into two, the other one is with Naruto while the other half is with his father Minato. What are your additional thoughts or predictions? We loved to hear from you, simply hit the comment section below. Naruto 671 spoiler is not yet available. Usually it is released one day before Naruto chapter 671 is released. So stay tuned! I’ll update this post if I spot a spoiler and when the chapter is released.